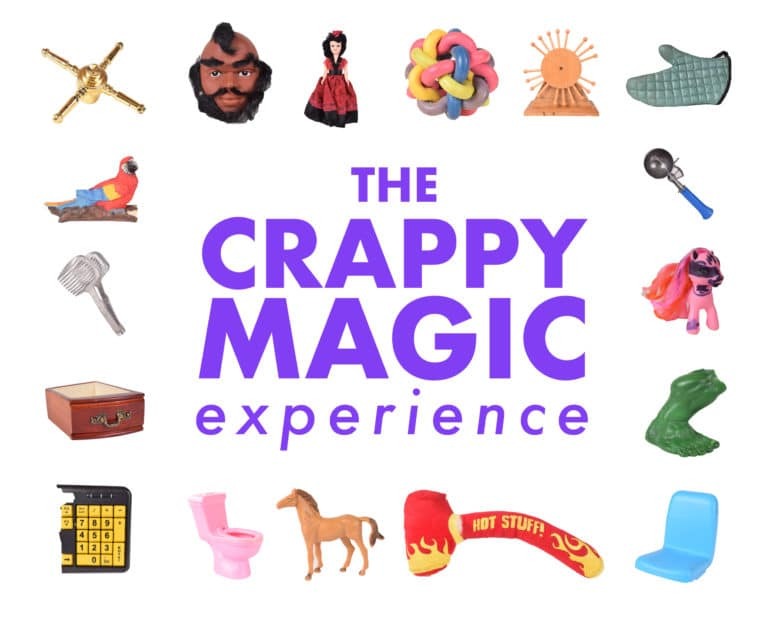 The Crappy Magic Experience is an interactive art event that defies conventions. Search – and shop – through an immersive display of art objects and cast-off consumer goods. As you explore this unusual collection, you’ll also enjoy a festival of wildly creative videos by numerous artists. The Crappy Magic Experience seeks to blend the art gallery with the thrift store, and to enliven tangible things with compelling digital identities. Unleashing the magic in each item will keep you busy all night! Feel free to contact us if you’d like more information! If you’d like to stay in the know about what’s going on at abrasiveMedia, sign-up for our newsletter here! Powered by Mailchimp. We’ll never sell your contact info.